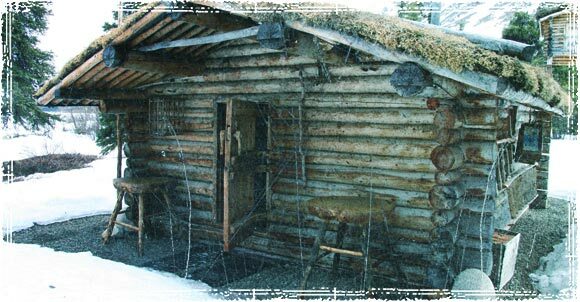 When things go bad, having a dedicated bug out location or survival shelter can really help put your mind at ease. Not only will you have a place to go, far from the chaos and dangers associated with urban survival, but you will also have a place where you can safely store backup supplies and equipment. Here are some of the top considerations that you need to keep in mind when looking for the ultimate bug out property. When it comes to buying a survival retreat or bug out location, location really is the key. How far is the land from your current location, and are you able to safely make it there during a crisis? If you’re purchasing a piece of property to serve as a bug out location, then you really need to consider how far that property is from your current home. Unless you have a good refueling plan, you need to really think about any piece of property that you can’t make it to on a single tank of gas. While having a bug out location far from the danger zone is important, making sure you can safely get there during a time of crisis is essential. How far is the land from high-density population areas? If you’re looking for a full-time survival retreat, distance isn’t really a problem. In fact, I would think the farther you can get away from the major cities, the better off you’ll be during a major collapse or SHTF situation. Population Density – During a crisis situation, areas with the highest population densities will experience the most crime, the most social unrest, the highest likelihood for epidemics, and the highest death tolls due to lack of resources and sanitation. When choosing a bug out location or survival retreat, we suggest staying as far away from high-density population areas as possible. 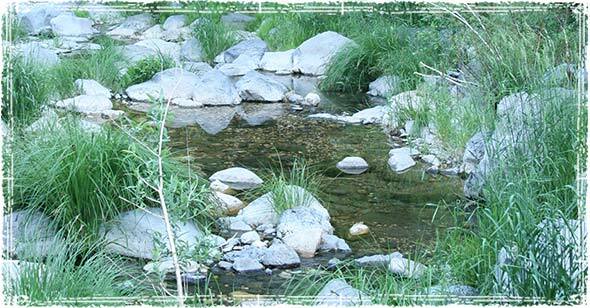 A good reliable water source is one of the most important considerations when choosing a bug out retreat. From fresh water springs and rivers to underground well water, the need for a clean and renewable water source is the number one factor to consider when looking for survival properties. Is water available independent of any municipal supply or source? What water sources are on the land, and what water rights will you own? Are they renewable, and will they be there year round? Is the property graded in a way that allows for a pond or cistern to catch rain water? The ability to conceal your site may become necessary during a SHTF Bug Out situation. Having a place that provides adequate resources to conceal your living quarters might be another factor in choosing your location. How easy would it be for someone to wander on to your land during a bug out situation? Do the natural features of the land help conceal and shelter you, or are they an obstacle to using the land? This will be a difficult balancing act! Can you easily secure and defend the land? Picking a location where you can sustain your lifestyle is another important consideration. From having enough sunlight to support a solar system, to picking a location that provides a good amount of firewood to heat your home, the ability to sustain your lifestyle needs to be one of the top concerns on your BOL checklist. Natural Resource – Another important factor in choosing your property is the area’s natural resources. How easy is it to grow food on your land? Does the area support a decent size population of wild animals for hunting? Can you easily raise livestock on the land? Cost of Living Issues – Unfortunately, the country is set up in a way that guarantees you never really own your property. From the government seizing homes over zoning issues to having to pay taxes on a property that you already own free and clear, it seems our government always has its hands in our business. When considering your location, the cost of living needs to be factored into your plan. Property taxes, cost of local goods and your ability to keep up with your payments are all things that must be considered. Zoning Issues – As we mentioned above, the government at every level has a way of really screwing with your plans. Make sure you thoroughly investigate local zoning ordinances and find out exactly what you can and can’t build, what permits are needed and how much trouble local zoning officials have been to local residents. From tornadoes and hurricanes to earthquakes and droughts, natural weather patterns and environmental threats need to be thoroughly researched before deciding on a property. Make sure you know exactly what threats you will be facing, and how the local climate will affect your ability to grow food, hunt and obtain resources throughout the year. Look at the areas historical data to better get an idea what the location might look like in the future. Take into account things like droughts, flash floods, tornadoes, and earthquakes. Look at crime statistics near your potential property and within a 50-mile radius of the property. Sounds like a perfect description for the mountains of western NC, where I live. Robert…did you ever list your home? the wife and I may be interested. I don’t know about the mentioned property but I have a great forty acre property super for homesteading or prepped lifestyle. Some open for farming, some wooded. In the middle of the Isothermal Belt of western NC. Portion very secluded. Neighbors private and prepper minded. Between Charlotte and Asheville. No zoning in the county. Good well area and all will perk. 8 miles from town. $5,000 per acre with owner financing. No trailers except wood sided. Can be split into ten acre’ve parcels, buyer pays for survey. I am a r e broker but this is mypersonal land. my name is Bryan Gullette. very interested in buying land in that area. If I may be included in any real estate information I’d appreciate it. I saw your message and am in a slightly similar situation. I’m looking for something out from Atlanta. I, too, work for the govt. have been really wanting to figure out where I might get a property set up that I can get to away from Atlanta. I don’t have your skillsets and am 61 so I need something reasonable as far as labor and upkeep. Hi Chris, I saw your reply and wanted to know if you want to talk about me joining the group you set up. I have skills too and am working on getting an EMT class so I can be of even more help. God bless! Hi Chris. I too am looking for a group to join. I am a professional mechanic and a machinist. Jack of all trades too. can build anything. Im in az now but want to get away from the desert. drop me an email if interseted. Please email me your realty website. I will be in western NC in May looking for property. Sorry, but I have a cabin in that area as we’ll and it’s probably one of the worst places for a bug out location, as it’s basically in to the “Smoky Mountains” region! Why is that region called the “blue ridge or the Smokey mountains”????? Because it’s the perfect environment for trapping harmful gasses, biological, or nuclear fallout, etc. if any city south or west of here is attacked, the fallout will drift to and settle right over your secluded bug out shelter as you breath in that fresh mountain air! Rick, I am currently living outside of Spartanburg, SC but have been looking for a piece of property either in northern SC or western NC. I am trying to make sure I understand what you are saying. I understand that nuclear fallout blows to the east and have looked at all the nuclear plants in the area and 50 mile ranges which leaves very little area to consider. I would appreciate any guidance so that I do not make a bad decision. Thanks in advance. Rick; Gee it sounds like no one is interested in listening to what you have to say and that’s a bad decision on their part. We’ve just learned in the above article how important it is to find a safe refuge. Can you tell us more? I know coal shafts litter the landscape. Is the mist that rises coming from underground coal deposits heated and venting? I’ve read of people living there getting Black Lung Disease who never worked the mines. No coal in western NC/Appalacians, that’s in the Cumberland plateau: TN, VA, KY, etc. Also the air here is fine and you are protected from radiation and fallout by the terrain. Base your search on research not emotional response and off the cuff commentary and you’ll be fine. Yeah, you are so right. Keep looking for a suitable tract. I’m looking for a small piece of land in that part of the state. Good running stream would be nice as far away from people as I can get. looking to go completely off the grid. Marvin, I have 3 acres near Spruce Pine that’s ready to go with buried storage tanks and a 40 foot shipping container that is not visible from the air or road. It also comes stocked with lots of food stores. It has two streams running through it with crystal clear water year round. Many extras are included. Will accept best reasonable offer. Well over $60,000 invested. NC Mtn man~where is your property located exactly? Marvin, do you still have property? Tennessee off grid property for sale. Interested if you still have. Please send me info. I am sure you have already sold your place but I just thought I would ask. Everything you mentioned with the container and water is what we are looking for so if it is still available please let us know. No matter what we will still be looking for our family’s sake. Thank you for your time. I have 64 acres in Graham county western NC, at the end of a dirt road 4000ft elevation boardering 10,000 acres of remote national forest. This is probably one of the most remote spots east of the mississippi. The population density is very low. I have been at this for 30 years. Tennessee off grid river property for sale. can you send some details? Can you share TN site info? Can you please email me your email address. I may need your services for a property I own. Same question, where is it located, and price? I am concerned about the National Parks being given to China last year by the Obummer Admin. due to us not having any ‘money’ to pay China back. What happens when they just decide to build apt. buildings on these national parks areas? I went to see Yellowstone this summer moving back to East Coast and a Vietnam Vet told me about the giving of the parks to China. I knew my Dad always used to say China wanted to run and own the world but since we are deeply in debt to them and they rely on Americans buying cheap crap from them forever, Trump is getting them angry saying he’s taking their candy away from them. Just about to list 30 acres, secluded, surrounded by forests. Well on property, already perked, good hunting, firewood galore, shed. Within 15 miles of two small towns. 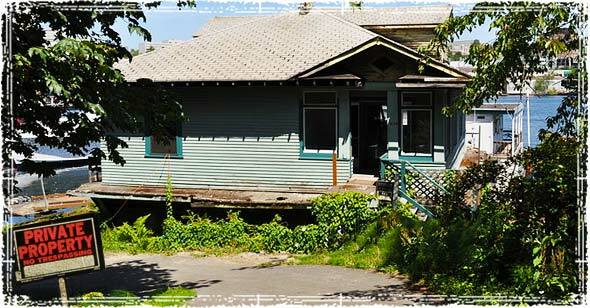 Low property taxes, no restrictions, home site cleared. Good land for garden, livestock, solar, mild winters. Tennessee. Is this still available? Can you please email me more details? Price? I have three Acres in TN/NC border in the mountains . In national forest and in a Bear preserve and great game hunting. 1400SF Two bedroom on 3/4 basement with flowing spring in basement. Completely remolded inside and the outside could use siding …It’s vinyl at present or leave as is for lower Taxes…. Also have a NEW 45K Generac if the deal is right. I would like to get more info from you, I will be in TN and NC in a couple of weeks looking for property to buy. Let me have your email or number. I am not an real estate broker. I have nine acres that rises from the bank of watauga river to about 900ft. in elev. Its near a small town, semi secluded. Its an easy to defend bug out place, and has been in the family for >40 years. Sadly I lost my leg and so my plans have changed considerably, hence the sale. The land is great for development too. Anyway, I am asking 8k an acre which is a bargain. Please send me pictures of your property if it is still available. Jon I am looking for a similar land parcel to go off the grid in these areas. Please reply with what you have available ASAP! Lol. No…but there are pleanty of empty million dollar homes here in the winter or atleast half-time to squat in! NC has taxed anyone NOT from Miami out of the system. Nonetheless, the forests will be filled with clueless morons from Florida. Tennessee and the Carolinas have had bad weather; animals, especially the Black Bears, have been dying of starvation this past 2015. Trees and fruit bearing plants didn’t produce well for a few years now and wildlife is endangered. I don’t know where in NC you are referencing but our area of NC is perfect for a survival lifestyle. Geothermal belt location great for growing food, no hurricanes or tornados, secluded, no zoning, mostly food animals for wildlife. Climate is super important for easy survival. hi there. is there any more land available in that area? i’m temporarily in blueridge while looking for land. Having visited from Hawaii I agree you have the most beautiful State of any I have visited with the best tasting spring water there I have ever had in my life. I am going to hide out on a private island in french Polynesia with a lagoon in the middle of it. No water but enough catchment and coconuts looking into deal. Lots of sunshine for solar. any good land for sale? Sounds like just what I’m looking for in the NC mountains. I am interested in hearing about the property you have for sale in the Ozarks. I have 30 acres for sale in Hot Sprngs Arkansas National Park area. One road up the side of the mountain and maintain by the county. This property has an old building 40 by 240 feet long where they cut whetstones for sharping knives. It has the old pit mine that would make a great shelter for you and alot of your friends (include me). PS. The radiation is coming ! What’s the MLS? Or is it in Craigslist? If you are looking into the Ozarks as a refuge then you may want to consider that it is located very close to the New Madrid Seismic Zone. google it. Admittedly it was my first thought for BOL since I have family ’round ’bout there. However if Yellowstone were to go then New Madrid would most likely follow suit. It all depends on what event will take place. Interested in the 58 acres! I have a spot offered to me in Clarksville, Arkansas. I have a few water ways. Is there a way to look at flood maps for that area? Also, how would someone dig a underground shelter with all the dam satellites around and google images. I love the Ozark Mountains, they are beautiful and would make a great place to setup a comfortable Bug-Out location. I’d build my cabin somewhere deep in the middle of that land but still leave myself a way to get to a town or place I can go to purchase the things I need if at all possible. Being these towns are far removed from the epi-center of a disaster or nuclear attack, it would take a while to get to my location high up in the Ozarks. Easy place to build a comfortable log cabin style home. Need to learn to be as self-sufficient as possible. Grow my own vegetables, have small chicken coup raise a few chicken and rabbits for meat and eggs. There must be plenty of reliable 365 day water sources. When the SHTF, how can anyone be SURE of getting out ? Plane flight, train’s, buses, will all be shut down. Think about driving across the border, I’m sure we’ll be welcomed with open arms, well maybe ar’s, ak’s, or the like ! we have 9 solor poweredhomes on our 20 yearorganic farm two miles of clean river,31 springs 3 mile driveway,all houses have gravity flow water county pop. 7000. selling two 10 ac. tracts along river but don’t flood.615 545 7241.
where is your land?? does it have a house on property by river?? what are you asking?? I’m interested, where is your land, and price? are you still selling lots? Thinking in print here…. It seems that no matter where you are, the more remote you are the better off you’ll be in a crisis. Government is not likely to commit big numbers of men, equipment or dollars to go out in the country where they are easy targets, and where their targets are widely dispersed – especially when the ‘control bang for the bucks’ are in the cities, as well as the biggest need for control. Also, think about the notorious guys who successfully hid in mountains – Eric Rudolph is one, hiding in NC for about 8 years. And that Serbian guy – Mladic was it? – he hid in the mountains basically in open sight while merely keeping a low profile. Gordon – I think your idea about boltholes is worth considering, and I read your posts. But I think there is a limitation on that idea, as would be true of most ideas. It seems to me that an out of country hideout will only be of real value if you face a crisis in your country that isn’t everywhere – or if you’re in a place like you are where you don’t have options to lay low because you stick out or because of the small size and difficulty of getting away unnoticed. In the event of a world wide crisis however (banking crash, oil supply crash, NWO takeover attempt, pandemic) if you are able to have an ‘in country’ remote location prepped, you may be better off. First, because if it’s a world wide problem, it will exist wherever you go. Second, you’re still a ‘local’ even if from far away, as opposed to someone who can’t speak the language or is of an obviously different race or culture – so it should be easier to ‘fit in’ and not be noticed by any authorities. Those are my current thoughts. What do you folks think? 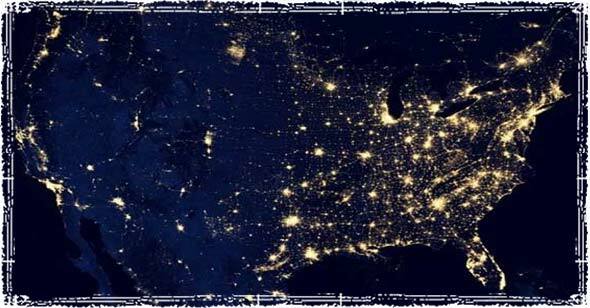 Additionally, if you were to fly to your foreign location and your timing was off, if the event had resulted in an EMP, you and everyone on your plane would become a statistic. I certainly would not want to be deep inside a metropolitan area; the outskirts would at least be better than midtown, giving you a head start before the masses congest the exit routes. Hide in plain sight, keeping a low profile, have an appearance of a non-combatant or otherwise not an individual to be considered will most likely be the condition to get by on. Be ready to respond if conditions warrant, but a complacent outward ‘appearance’ may be your saving grace. Mike and Dave: Being an outsider in a Police State might have some advantages, in a worldwide crisis. Outsiders would not be perceived as a threat to the establishment (they virtually never are, in Police States), and a bit of judiciously placed cash might buy favours that it wouldn’t do in one’s own country. I don’t want to come across as a heartless cynic, but we are speaking of a world in which civil conduct is turned upside down. Prior exposure to foreign countries and cultures is important, of course. I really do recommend that US residents check some places out before the likely SHTF event. Gordon – more info please. I’ll buy that some cash might buy favors, and coin or jewelry might buy more. I might (maybe) even consider that you’d be less a target of the police state. But what makes you think that your outsider status wouldn’t at the same time make you a ready target for the locals to rob, kidnap, or whatever? As you say, civil conduct is turned upside down. It seems to me like breaking even on protection vs. crime is your best bet this way, and you’re out the cash. 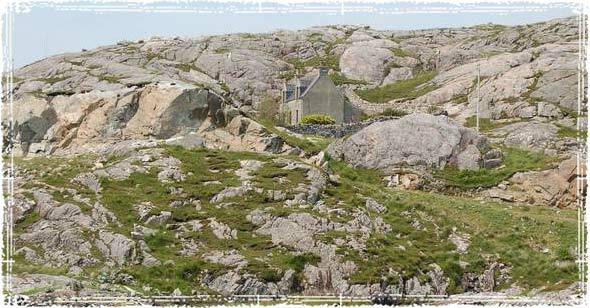 Staying ‘home’ with a low profile in a remote area is to my thinking equally safe. Dave. The main target of robbers will be preppers with food. In a seriously chaotic world, actual cash money might lose most or all of its value. Also,I used to “travel poor” – though more in my youth than later (read the travel-tales on my blog), and even now I exude an aura of ineffectuality rather than of wealth. Our son has never lost all his hippy ways, and ten years ago lived for a time in a tree-house with his girlfriend and her baby. Later, he lived on the streets of a major town. Nobody ever thought to kidnap him for his parents’ money. Maybe he and we have just been lucky. We’ll find out soon enough, I guess…! Finally, you have to consider my age. At over 70, I don’t have as many years to survive the chaos as you probably do. Thanks Gordon. I don’t have those experiences myself, so I wouldn’t have that view of things. Which means I’ll accept your explanation and try to integrate it into my thinking for the Hegelian synthesis it’ll produce. As for age, I’m 63. But I’m trying to set things up to offer safe haven to the kids and theirs, and also just to be sure I’m not a ‘casualty’ of the event simply because I did nothing to avoid that status. You know, choosing to NOT BE an easy victim of events or people. Right now as I write this a wall is being built on our southern border with Mexico. Do you think it is to keep out the Mexicans? Or maybe to keep us in? Get out of the USA my fellow Americans. The USA has been targeted for termination because we are the only country still standing in the way of the NWO. The southern hemisphere looks good to me. Guys, I see some of you guys own good property, but I don’t have the money to be able to rent out or buy the land. What would you guys suggest? Find someone who needs help and time invested in their property and make an agreement. I second that. People who need the man hours will probably repay the favour in kind. Labour is so expensive and any hours and trade you can offer will be an asset. If someone lives in a rural area on 90+ acres, ponds, woods and fields, 5 to 10 miles from a town of about 300 population. Place is paid for, pretty good start on prep however house frontage on main county road, 30 miles from larger town/city, large family nearby, plenty of hunting, fishing, local gardens, would you guys recommend leaving for an isolated bugout place or just hunkering down? Grannylou, there are a lot of variables to consider, and many are based in your own preferences and confidence. You sound pretty well set for long-term living already, so it’s mostly the crisis situation you’d need to worry about. My first thought is whether your 300 pop town is between you and the bigger one, or on the other side of you from the big one – any trouble coming from the bigger one might be mitigated by the smaller town if it’s between you and the big one. You can do ‘landscaping’ to make your home more secure. Cattle guards in the driveway for warnings, thorny hedges along the road – set back enough to let them grow big and ‘wild’ and look like there’s nothing behind them. Roses climbing flimsy arbors on your porch, or under your windows – flimsy so no person can climb them. Hawthorn trees, cat briar, thorny locust, etc. are good hedge materials. Look at the european style of building hedgerows too. 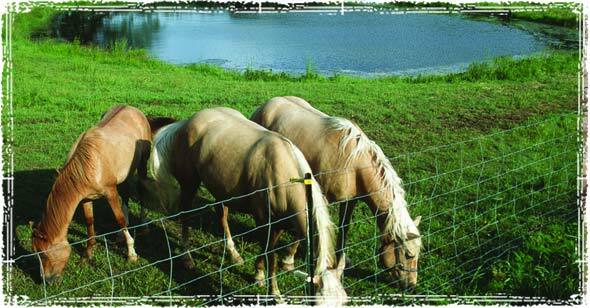 Check local / state laws – you may be able to unroll some barbed wire in the hedges too. If you have weapons, you can landscape your place to direct any unwanted visitors into areas with no protection for them but good visibility for you to defend yourself. Can you afford or do you have some animals? Guinea hens and geese are pretty noisy and territorial. Several small dogs are good alarms too – and harder for intruders to hit, kick or shoot (my mini-dachs rescue dogs are VERY defensive of their homes, eat little, and can bite like a dog 3 times their size – I know because they are rescues and I have the scars to show). With 90 acres, you could create a ‘bunker’ home of sorts back where it’s entirely hidden from view, and in the event of a crisis just move there. Make sure your stores are there, not in the main house. So there are lots of options, and you’ll have to think of what works for you, in which kinds of situations they will work (not all crises are going to require shooting, not all are going to require heading to the hills, and is some you might be ideally situated to help local folks and make a big profit too), and how much you’re willing to invest now in planning for an uncertain event. From what I know from military friends, it seems much more likely there is going to be a double or triple attack. I’d guess a man-made tsunami similar to the 2004 Indian Ocean tsumani and the more recent 2011 Fukushima event. Both have irrefutable evidence of sabotage. Joe Vialls wrote about the 2004 Boxing Day tsunami before he met an untimely death and could upload Part 2, but recently ex NSA contractor Jim Stone has done a fantastic job with the Fukushima evidence. Seems it was a matter of nuclear sabotage because of a pending uranium deal with Iran for energy purposes. His blog is still up at JimStoneFreelance.com if youre interested. In any case, aside from 1 or more unnatural disasters, it seems there is much training going on for a bio attack. THere’s been a blatant censorship of the many anthrax, swine flu, synthia, & even the plague epidemics that are currently going on throughout the US & Western Europe. I’d keep this in mind as much, if not more so, than a nuclear threat. If there is a nuclear event, I’d imagine it would be an EMP attack from altitude, and/or an “accident” at another reactor. There’s a reactor in Taft, Louisiana that would effectively close down the mouth of the Mississippi River. There are numerous oil field refineries there also. It would make it impossible to move barges or ships into the Gulf of Mexico. It’s not too far from New Orleans where we flood over a little rain. Not a good place to be. …You realize that if even 1/3rd of those targets were ever actually hit it wouldn’t matter where you are? Unless you’re in a bunker 1000s of feet behind solid granite for about 170years. Herp derp. You got water for like 3 months? Great map, thanks for the info. I live in Central Florida, it’s rural and only takes 5 minutes to find yourself deep in the woods or surrounded by acres upon acres of cow pastures. While I hate the Florida climate, it provides for a never-ending growing season and we have never had the need to heat the house in the winter. Plenty of wildlife, if you don’t mind the occasional gator steak. Some of our surrounding counties are very laid back with their code enforcement. Seems that you can pretty much do whatever you want on your land. Solar panels are the best way to go – it’s called the Sunshine State for a reason. Drilling a well is a piece of pie, you’ll hit water after only a few feet. Florida will not exist as the ice caps continue to melt. You can stay there, but you might want to consider making a house boat. John, A house boat won’t work because of the Great Earth Changes that are coming. Perhaps a submarine would. Every year we see The Global Super Storms increasing getting larger and larger. Mother Earth is tired of these fleas that keep biting her in the back…soon she will shake these fleas off by rolling over on her axis. 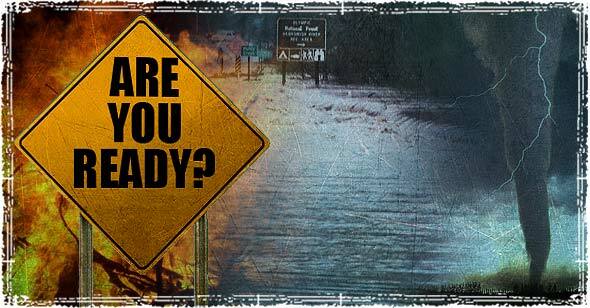 Are you prepared for mile high tidal waves? I wonder about the diversity of areas & populations in this country. What will the masses do? What will the government do? Specifically as it pertains to city / urban, suburban, rural and ‘wild’ areas. I worry that every city and suburban dweller is goingto rush to the mountains and I wonder to ehat extent the govenment will try to contain populations in rural and suburban areas. What do you all think? Prepping for a flood of people from the cities is definitely something you have to keep in mind when choosing a location. In my opinion the farther you can get away from a densely populated area, the safer you’ll be. While I think a lot of these people will “head for the hills.” Most of the don’t have the skills or the planning in place to get very far. my kids and i have been speaking of this lately. i have told the kids that even tho we are at the edge of the smoky mountains here in tn i would feel better about it if we were all in the mid to western states because of population density. the ozarks sound mighty good as an area to move towards. less population, water sources and hunting opportunities. Schwenky. I think “the masses” will sit tight and rely on handouts from the authorities; think “the proles” in Orwell’s “1984”. Relatively few will head for the hills, where their main enemy will be shot preppers with guns. Those who somehow survive in the countryside and become self-supporting in spite of everything – well, think of how the European settlers in America dealt with the natives with smallpox-infected blankets. Think diseases, deliberately spread. The sociopaths in charge of the US (and other countries) have studied history; they know what happened in Cambodia and Soviet Ukraine. They also know what is happening now in Haiti and Palestine. Both urban proles and rural refugees will be sitting ducks for the authorities’ gangs. Two recent blog-posts of mine tackle the topic of bolt-holes. The posts offer only the most general and superficial of comments – far, far, inferior to stuff in this Offgrid site – but they might not be a bad place to start. I live in northern az and we have no way of digging in so to speak as we are on a mountain. If you can dig 3 ft it would be a miracle. I am very concerned as to where to take refuge. Just thinking here that even if you have a small dwelling out in the woods they can scan and find a dime on a side walk from space. I think we should try and find a underground dugout, but again we are out of luck there. I was also hoping for a cave but believe it or not there are no caves… ahhhhh very frustrated does anyone have any ideas how to be safe here? Evone, I live in Flag. Perhaps we should meet and discuss things. evone, follow the lead of the Hopi Indians, they are going underground. But the problem is you can’t stay down there forever. When you pop back up the air will probably kill you, just look at the Chem Trails over your own head now days. I have a plan that i am comfortable with for when SHTF. Granted i don’t own any property, but i do plan on going very far away and starting over. My question to all is. During the inital phase of total chaos, do you think the military will play a major role in trying to keep people locked doen to the local areas? If at all, not at first. I am in the military, and i know it takes a few days to mobilize the regulars. as to the national guard, i do not know. J.J. You are right that there is no place we can truly hide.However,if G-d protects us and reveals to us safety measures he wants us to take, we will find no greater safety. Christians must right themselves with G-d and follow HIM. No matter what horrors are going on around us HE will take care of HIS children. I live in East Nebraska and am having problems finding an affordable piece of ground – finding the perfect spot as described is not in the budget so I am trying to find some ground that is 1) secluded 2) wooded 3) relativley close to water all the rest I will just have to deal with. I have been looking but can’t find anything……..any ideas or help? Strategic Relocation: North American Guide to Safe Places by Joel Skousen takes every U.S. state rated on a scale of 1 to 5 with 5 the safest. Answers all the questins here and more. Also l hr. video on youtube. I am interested. Please let me know how I can get more details from you. We have a 100’x100′ property in the town of Butte, NE pop.326 with a 1978 20×66′ 3B/R, 2 BA MH on it. Utilities in, 2 car garage, shed min.20×20′. MH sits on 20×66′ concrete basement with approx. 8′ headroom. Tons of potential. Can send pics. Asking $24,500. 2012 taxes $217. I currently live near Kansas City. If property is still available would you please e-mail me. I’m looking for remote property within 200 miles of Kansas city. I’ve purchased a wonderful mountain property with solar electricity, good well, cool summers, ,not too bad winters in Mexico. Super stealth underground bunker (750 sf) and 1200 sf cabin 1200 feet away. good hardwoods, pines, deer, fish, spring fed 2 hectometer 12′ deep pond on property. Next door neighbor, retired American 60 year old Doctor and wife only half a mile down mountain road. One advantage of Mexico is the new Trump wall will keep out the hordes of desperate unprepared Americans fleeing south for greener pastures after SHTF occurs. Anyone have any thoughts on buying a small log cabin kit? Strategic Relocation: North American Guide to Safe Places by Joel Skousen suggests a location east of Lubbock, TX. Anyone know of land 30+ miles east of Lubbock? We have a local vendor that makes some of the best cabins in the US.